At Nagisa Bali we are already highly specialised and experienced in luxury villa preparation and hospitality services for our villa rental clientelle. 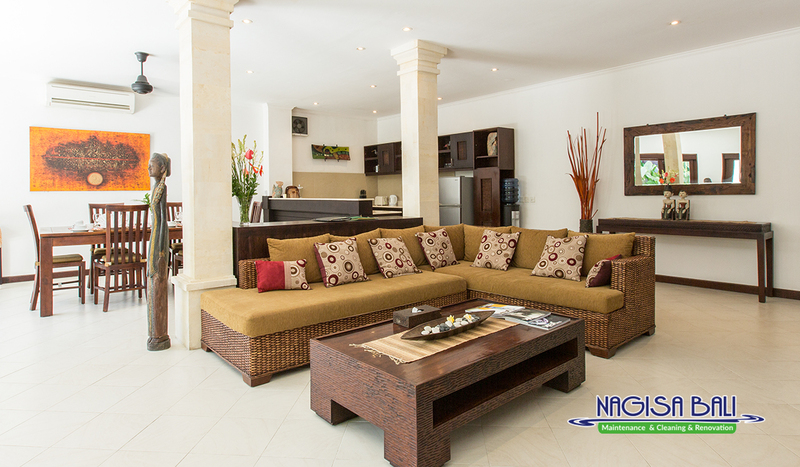 We are able to thoroughly clean a villa inside and out, replace bedding, clean all surfaces and have a villa ready for new guests sometimes in just a matter of hours. As a result of increasing demand we are now offering our expertise in cleaning and villa maintenance to villa owners looking for a company to take the stress out of their villa maintenance and cleaning.